The year began with an unusual number of tornadoes during January 2012. The first major tornado outbreak occurred on January 22–23, when a spring-like system moved across the southern Mississippi valley, producing at least two dozen confirmed tornadoes across Arkansas, Kentucky, Mississippi, Tennessee, and Alabama. As a whole, January was the third most active on record, behind 1999 and 2008. Despite this, a significant contrast in activity occurred for the month of February. Despite a slow beginning, the month of February ended with a significant tornado outbreak on the 28th and 29th with a strong EF4 doing significant damage and killing eight in Harrisburg, Illinois. Another ramp-up in activity occurred in early March, with one of the largest outbreaks ever recorded in the United States for that time of the year. This outbreak produced 160 reported tornadoes, and affected areas across Indiana and Kentucky in particular. 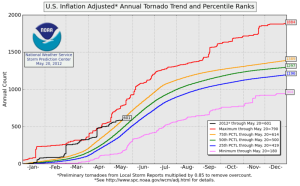 Using the adjusted preliminary tornado count (85% of the total preliminary reports in order to remove overcount), 2012 attained record tornado activity on March 23 with 319 reports, eclipsing the previous record of 317. 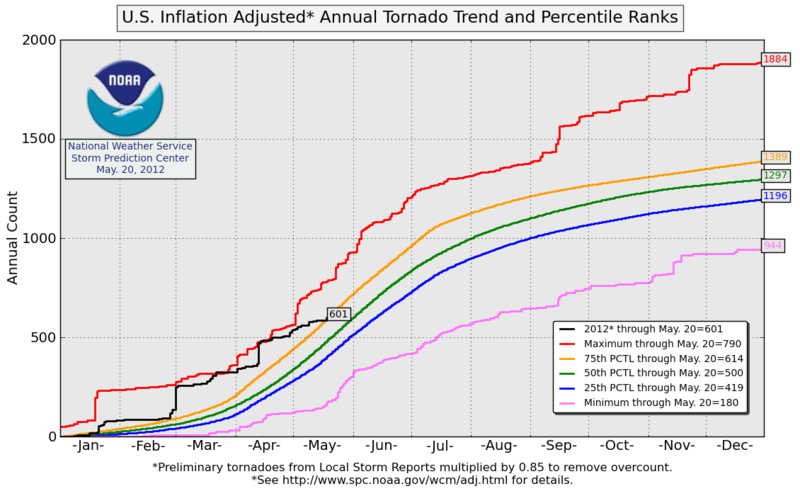 It appears 2012 will remain on track to be one of the most active tornado seasons in decades. 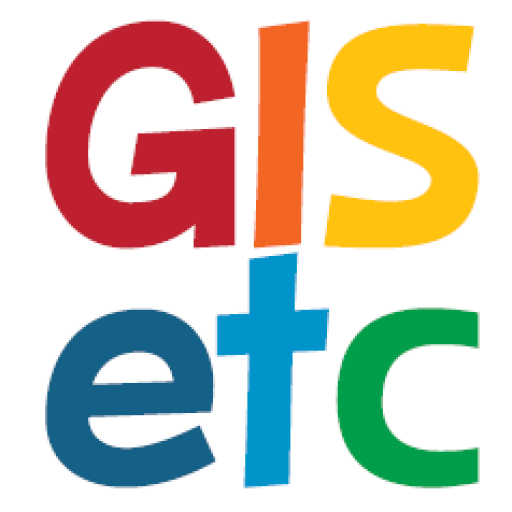 At GISetc.com we curate and bring you the best geography and science resources from the web. We hope our sharing will keep you up to date on the latest science and geospatial news. Click here to view the full article in its original format from Wikipedia. We’re going SUPERSIZED for Summer! That means, we’re cutting back on the frequency of our posts, but each SUPERSIZED post has TWICE the content. Enjoy & have a great summer!